One of Britain’s most controversial politicians—Nigel Farage—returned to front-line campaigning to fight for Brexit. 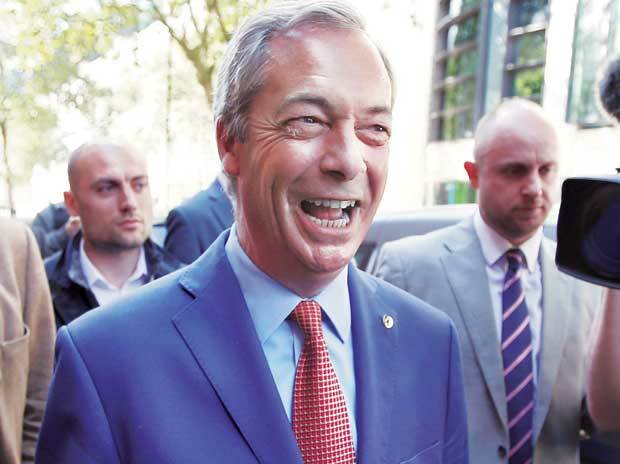 Farage, the former leader of the UK Independence Party, is spearheading a new vehicle — the Brexit Party—which launched its campaign for next month’s European Parliament elections on Friday. “What we’ve seen over the course of the last few weeks is the willful betrayal of the greatest democratic exercise in the history of this nation,” he said, sporting a blue suit and socks adorned with the British flag. While the government does not want to hold the European parliament election scheduled for May 23, it’s conceded it will need to go ahead if the Brexit deal she negotiated with the European Union is not ratified in time. Parliament has voted it down three times.